I am so excited to introduce my sweet little girl, Lucy Jane!!! She came into the world on January 12, 2015 at 12:16pm, weighing 7 lbs 3 oz and measuring 20 in long! She is absolute perfection and my heart is overwhelmed. Below I'd like to share my birth story with you. I couldn't be more blessed. So originally, I was scheduled for an induction at 6:00am on Monday, January 12, 2015. I agreed to an induction because I wanted more than anything for my family to be there for the birth (particularly for my mother to be in the delivery room with me). I am now reminded of that old saying, "Man plans and God laughs. ", because at 2:00am, merely 4 hours before I was to be induced, my labor started all on its own! I was blessed with a very smooth labor and delivery. I had no immediate signs of labor before waking at 2:00am with strong contractions coming at 5-7 minutes apart. Thankfully, because I had scheduled an induction, my family was already in town and able to be there with me through all of it! 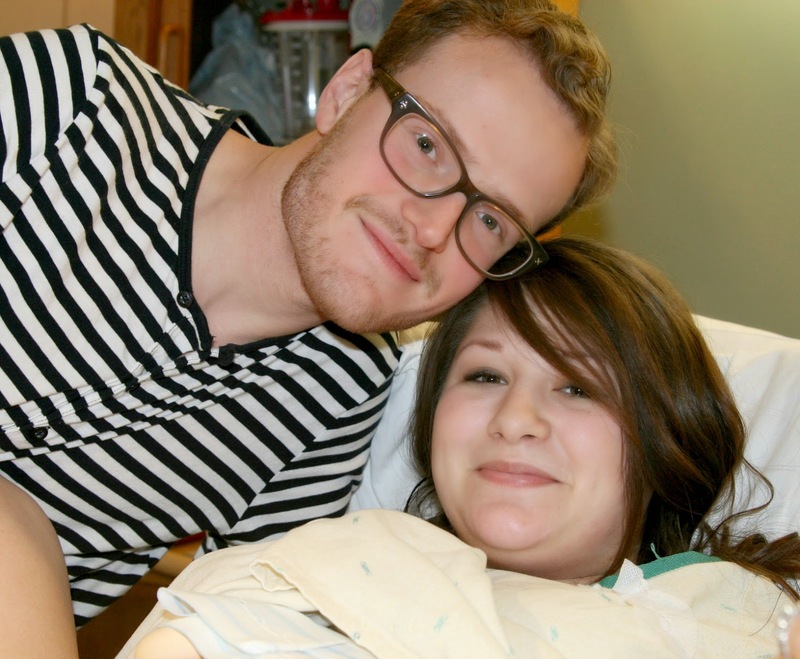 When we arrived at the hospital, I was having contractions about every 3-5 minutes and was dilated at 5cm. 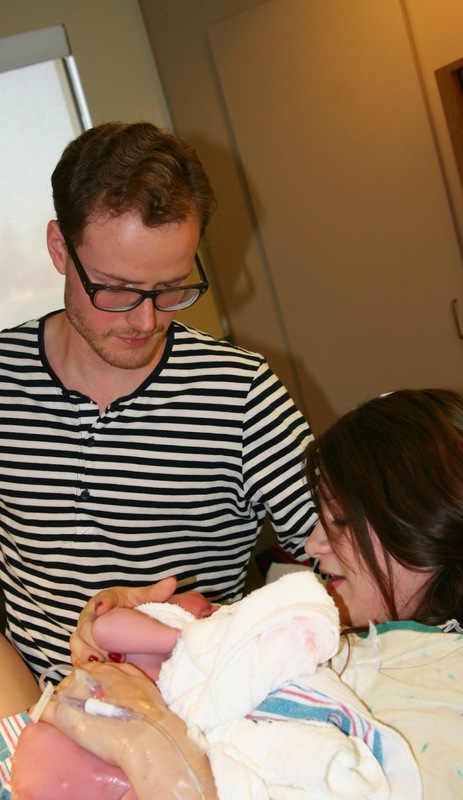 I received an epidural around 6-7cm and never felt another thing! Literally, when it came time to push they had to watch my contractions on the monitor because I could not feel them, and my husband and mom had to hold my legs up because they were so numb I couldn't move them! After about 20 min of pushing (and only 9 hours of total labor! ), our sweet Lucy was here! Finally holding my sweet girl in my arms! 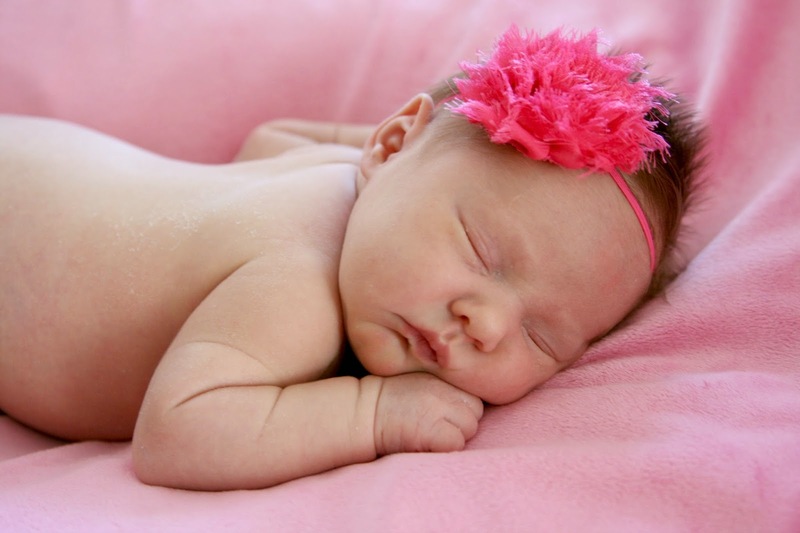 She has the gentlest little cry...She really is a sweet, calm, good natured baby. I couldn't be more blessed. Since everything went so smoothly and we were both healthy and healing well, we were able to leave the hospital after just 24 hours! We were so glad to head home! I'll be sharing some more newborn photos that my mom and I took later on this week. I am so thrilled to finally have my sweet baby girl in my arms!